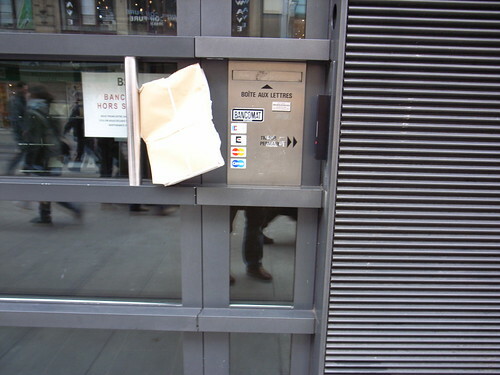 When the mailbox is too small, the door handle can serve a relevant alternative. These package (4-5 newspapers) is indeed to thick to be posted in the mailbox. An intriguing example of a repurposed object, mundane creativity on the street.